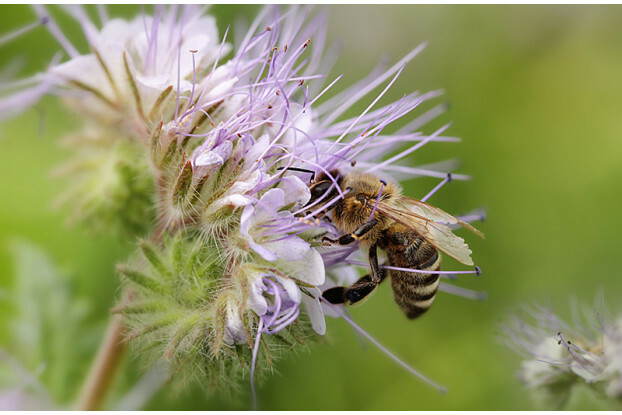 Our Southwest Desert honey bee pasture blend has been designed to meet the needs of professional beekeepers and hobbyists throughout the hot, dry climate of southeastern California, southern Nevada, Arizona and southwestern New Mexico. It contains a large percentage of sweet clover, a drought-tolerant legume that tolerates extreme temperatures and poor soils. This blend also contains wildflower and clover species preferred by the honey bee. Provides maximum nectar and pollen amounts throughout the growing season, and contains both perennial and self-seeding annual species for multi-year productivity. This blend can also be used as a green-manure cover crop.